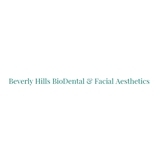 Beverly Hills Biodental & Facial Aesthetic (Beverly Hills) - Book Appointment Online! A brand new smile in one visit with our high tech equipment, no metals, no temporary crowns, no messy impressions, or a second appointment. You'll get your crowns the same day. Our diagnostic 3D imaging machine Sirona,has the highest degree of safety, lowest dose level, sharpest images, safety implant planning tools. Our doctors have more than 20 years of clinical and teaching experience in Dentistry, UPenn Ivy league Dental School Honor Graduates and UCLA postgraduate. With our most advanced 3D technologies and doctors' high expertise we aim to offer our patients the ultimate dental experience. Great office, so state of the art, great care.